Colonial Revelers will perform songs of early America in costume. 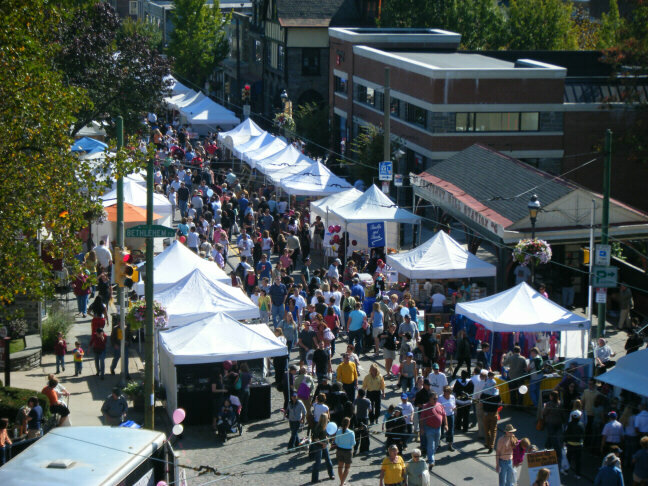 The Norristown Arts Hill Festival goes from 10 am to 5 pm and includes performers in theater, dance, poetry, and all kinds of music. Vendors will be on hand selling food, crafts, and arts-related items. For info, go to www.norristownartshill.org. Colonial Revelers will perform as people gather for the library's One Book-One Norristown event, with author Jerry Spinelli, which will begin at 6 pm. Come early to hear us sing songs popular in the year of Norristown's founding, 1812. William Hogarth's "An Election Entertainment"
George Washington entered his first election campaign in 1755, when he ran for a seat in the Virginia House of Burgesses. He lost. Just as well, because he went on to serve in the French and Indian War. He didn't exactly distinguish himself, but he learned the ways of command, and that came in handy during the Revolution. In 1757, he decided to run for office again. This time he tried something different. To the polling booth in his district, he brought "a barrel of punch, 35 gals. of wine, 43 gals. of strong cider and dinner." It cost him 39 pounds, 6 shillings (about $6500 in today's money). But the Virginia Assembly of 1699 had passed a law forbidding candidates from giving voters "money, meat, drink, or provisions" for the purpose of procuring votes. As a result of Washington's polling place buffet, the House of Burgesses further shored up the old rule by saying candidates could be disqualified for such acts. Nevertheless, a lot of his fellow politicians took note of Washington's success and argued against the rule. At the time, voters (i.e. men who owned property) were required to travel to their seats of government to vote, sometimes a journey of more than one day. Thomas Jefferson argued that voters who made the trip arrived tired and hungry. And that free refreshments might encourage others to do their civic duty as well. Some states still have laws on their books against "voter bribery." Wisconsin has a law that a candidate or anyone campaigning for the candidate may not give voters anything that costs more than one dollar. Yet politicians there ignore this law all the time, most recently Governor Romney and US Rep Paul Ryan when they handed out sub sandwiches in excess of $3 each before the last primary. So we can thank our forefathers for starting this tradition, and the Virginia House of Burgesses for never really enforcing it.